It’s not certain that you can eliminate Microsoft Office but it’s becoming more common as the days pass. For my businesses I use Google Docs for 99% of our Office Suite needs and I am power-user capable. There just aren’t many times a company needs to use those power features unique to MS Office. 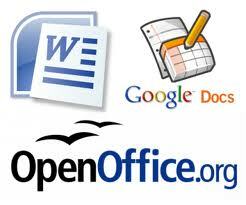 I have talked about LibreOffice (a derivative of OpenOffice) the MS Office open source competitor. LibreOffice supports most MS documents and unless you are a real power user or have some sensitive collaboration, you can get rid of MS Office. Why Get Rid Of MS Office? Because it costs money. A lot of money. In the past they rolled it into a computer’s cost and conveniently pushed on you. Payments for it were from $99 to $350 on top of the OS and hardware you purchased. Now the subscription model tries to get around $100 every year. 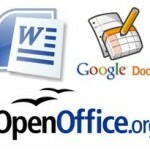 What is LibreOffice and OpenOffice? LibreOffice is the current open source free version of the StarOffice project that started years ago. OpenOffice was bought by Oracle then an open source group continued the free version and development in a new branch calling it LibreOffice. The old OpenOffice is still available controlled by the Apache group. Thorin Klosowski has a nice comparison and identifies differences between the services. Mostly they differ in high-end features and macros are often not compatible. The database modules each favor different sets so bring your needs list and compare. The answer is a qualified, “You Bet!” Check your special needs and make sure they are handled by LibreOffice before you decide to go Microsoft Office. If you are still not sure then use LibreOffice until you hit a gotcha. 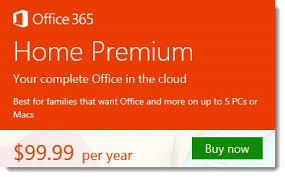 If your business has many computers you can buy one license and all other computers can use LibreOffice using the one computer licensed with MS Office on the occasional need. » Is Your Windows Computer Slowing Down? » What Is Windows 8 Like?